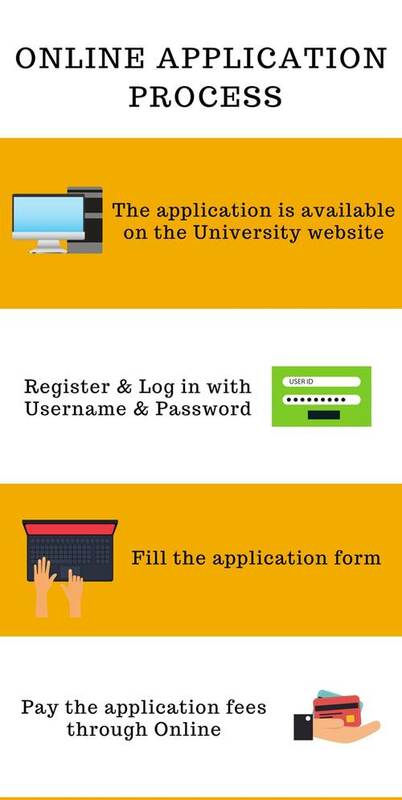 The Application Form will be available on the Official Website of Mewar University, Chittorgarh. The candidate should Register with the basic details to fill the application form and an OTP will be sent to the registered Mobile Number. 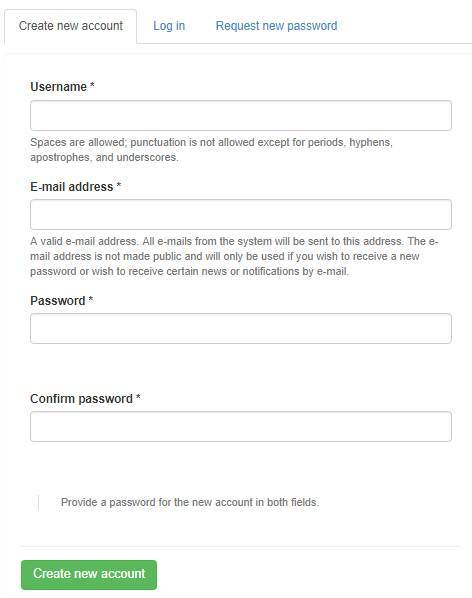 The existing candidates can Log in with Username and Password to fill the application form. Fill the Application Form with Personal Information, Academic History, Course Options & Payment, Photo Upload, and Final Submission. Upload Passport Size Photograph (<1MB in JPG, JPEG, PNG, GIF). Pay the application fees of Rs.1000+extra through Online using Debit/ Credit Card or Net Banking. If any of the candidates don't meet the eligibility criteria and fill the application form, will be rejected without any prior information. The Application Form is available on the University Campus. 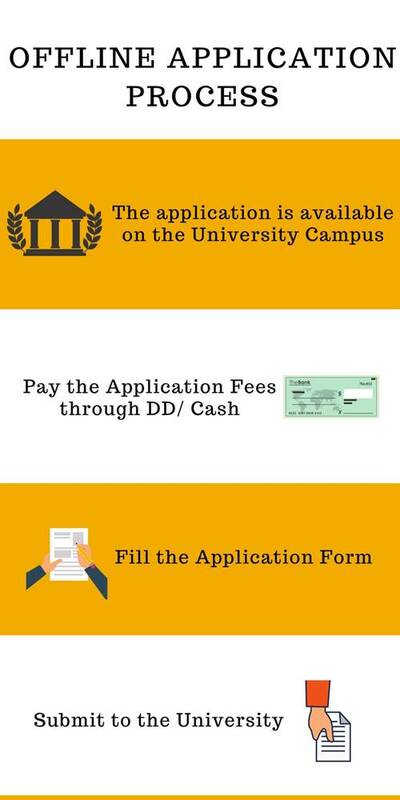 The candidate can pay the application fees of Rs.1000+extra through Cash or Demand Draft in the University. Fill the Application Form with the Personal Information, Academic History, Course Options & Payment, Photo Upload, and Final Submission. The admission process will be based on marks secured in Mewar University Entrance Examination (MUEE) or equivalent State Level Entrance Examination. The admission process will be based on marks secured in MU-MAT/ CAT/ RMAT Entrance Examination. The candidate must have passed a Bachelor's Degree in any stream with minimum 60% marks. The candidate must have passed 10+2 examination with 45% marks or equivalent grades. In order to get admission in Mewar University, the candidate must have passed 10+2 examination with Mathematics as a mandatory subject with 50% marks or equivalent grades. The candidate must have passed 10+2 examination in Commerce stream with 50% marks or equivalent grades. The candidate must have passed 10+2 examination with Physics, Chemistry, and Biology with 45% marks or equivalent grades to apply for Mewar University admission. The candidate must have passed a Bachelor's Degree in any stream with minimum 2-Years of Work Experience to apply for Mewar University admission 2019. The candidate must have passed Graduation in any discipline with minimum 50% marks or equivalent grades to apply for Mewar University admission. In order to get admission in Mewar University, the candidate must have passed LLB with 50% marks or equivalent grades. The candidate must have passed a Bachelor's Degree with minimum 45% marks to apply for Mewar University admission 2019. The candidate must have passed a Bachelor's Degree with Mathematics or 10+2 examination with Mathematics or BCA/ B.Sc CS/ B.Sc IT with minimum 50% marks. In order to get admission in Mewar University, the candidate must have passed a Bachelor's Degree in Commerce with minimum 50% marks. The candidate must have passed Graduation in any discipline with minimum 50% marks or equivalent grades. In order to get admission in Mewar University, the candidate must have passed Graduation in relevant discipline with a minimum 2nd division or equivalent grades or PG Degree in relevant discipline with 45% marks. The candidate must have passed BE/ B.Tech/ M.Sc in relevant discipline with a minimum 2nd division or equivalent grades or PG Degree in relevant discipline with 45% marks to apply for Mewar University admission. In order to get admission in Mewar University, Chittorgarh, the candidate must have passed 10+2 examination in any discipline with minimum 50% marks or equivalent grades. The candidate must have passed 10+2 examination with Physics, Chemistry, and Mathematics/ Physics, Chemistry, and Biology with minimum 50% marks to apply for Mewar University, Chittorgarh admission 2019. What is the Anti-Ragging Policy of Mewar University, [MU] Chittorgarh? Any action which raises fear or apprehension thereof in a fresher or a junior student. Asking a fresher or a junior student to do any act or perform something which she/he will not do in the ordinary course and which has the effect of causing or generating a sense of shame or embarrassment so as to adversely affect her/his physique or psyche shall be considered by the University as acts of ragging and therefore treated as an act of gross indiscipline by the student. If the individuals directly committing ragging are not clearly identified by the available prima-facie evidence, collective punishment could be imposed so that it acts as a deterrent. (d) threatening with the intent to place the persons in reasonable fear for his/her safety or for the safety of his/her family shall be considered as acts of gross indiscipline by the University. How is the Training done for the Placements for Mewar University, [MU] Chittorgarh? The Formal education with Disciplinary training. Short-Term training programs within the course of the program. The Internship, to boost the confidence and understanding of Industrial functioning. And, Finally getting appropriate placement opportunity. What are the Affliations that the Mewar University, [MU] Chittorgarh have? The Mewar University, [MU] Chittorgarh is an autonomous body promulgated by the Government of Rajasthan through Act. No. 4 of 2009, passed by Rajasthan Assembly. The Mewar University, [MU] Chittorgarh is further approved by the UGC u/s 2(f) of the UGC Act 1956, with the right to confer degree u/s 22(1) of the UGC Act. 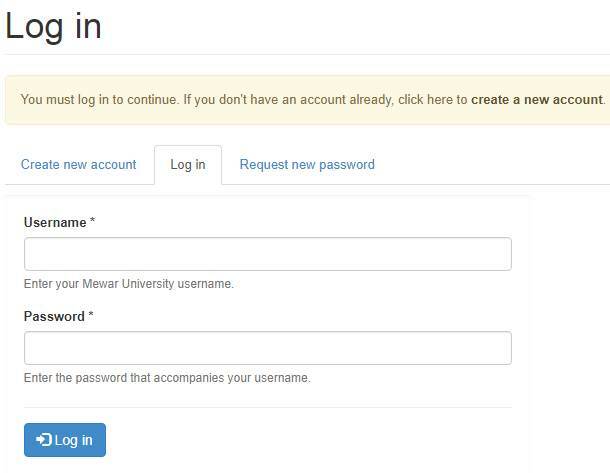 What are the Contact Details for Mewar University, [MU] Chittorgarh? What are the Mewar University, [MU] Chittorgarh timings? The College timings differ from Student-student based on his/her majors. The College timings in Mewar University, [MU] Chittorgarh are typically from 8 am to 5 pm.